Perfect Yellow Cupcakes - Chocolate Chocolate and More! Want moist, dense, pound-cake like cupcakes? Try these Perfect Yellow Cupcakes. The recipe is easy and makes two and a half dozen. Perfect for school parties or after-school snacks. I miss the days when I made cupcakes for school parties. We generally kept those cupcakes pretty simple – chocolate or vanilla. When my kids were old enough, they loved frosting the cupcakes. You can lick your fingers right. And then decorating the top with sprinkles. 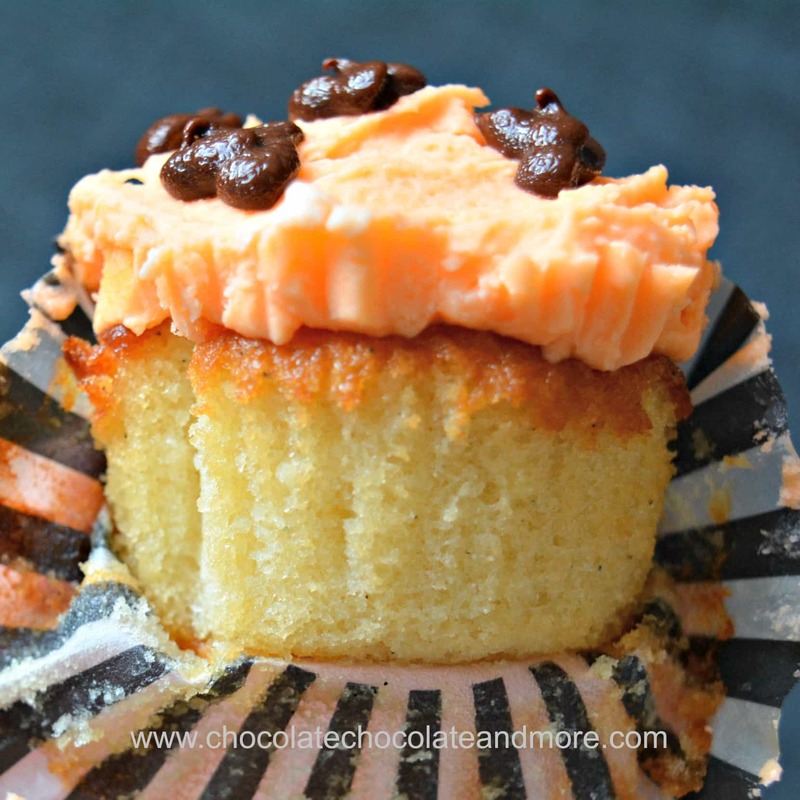 These cupcakes are a moist, dense yellow cake with a nice even texture. They’re solid enough that your kids can frost them without crushing them. 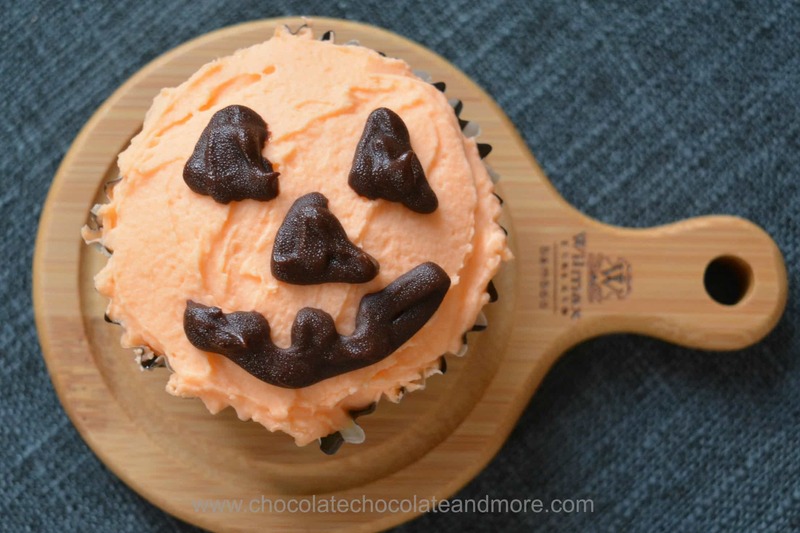 I’m going to a Halloween party in just a few hours so I topped mine with orange buttercream and made pumpkin faces with a little chocolate ganache. I need to improve my technique but our jack-o-lanterns were never perfect either. 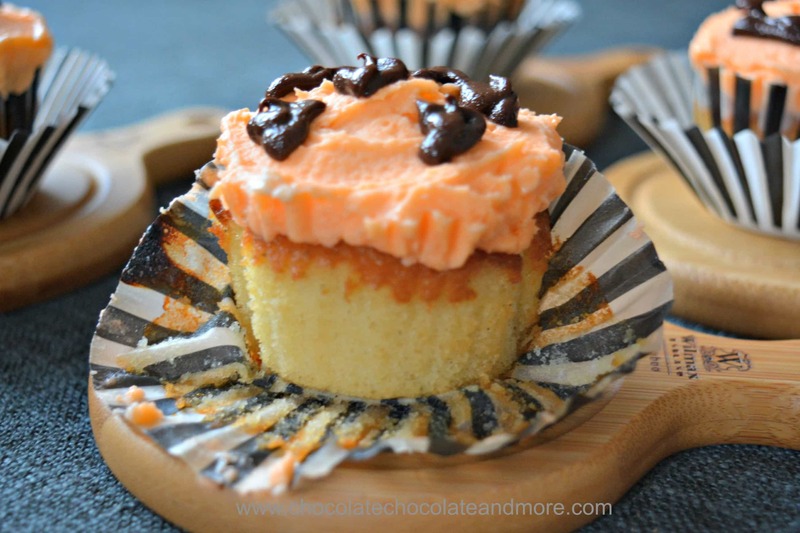 Chocolate and orange was wonderful on top of these perfect yellow cupcakes. The great thing about yellow cake is the flavor goes with just about anything. So top yours with buttercream, ganache, meringue. whatever you like! In a large mixing bowl, cream butter for about 30 seconds. Add in sugar and beat for 2 minutes, just until fluffy. Add in eggs, one at a time, beating just to blend. Add in vanilla and beat again. Alternating, add in flour and milk, starting and ending with flour. Do not over mix. Spoon batter in to paper lined, or lightly greased cupcake tins, to 2/3 full (I use a Large Cookie Scoop, perfect every time!) Bake in a preheated 375°F oven for 15-17 minutes, test for doneness using a toothpick inserted in center. Let cupcakes rest in pan for 20 minutes before removing to racks to cool completely. Once completely cooled, frost as desired. 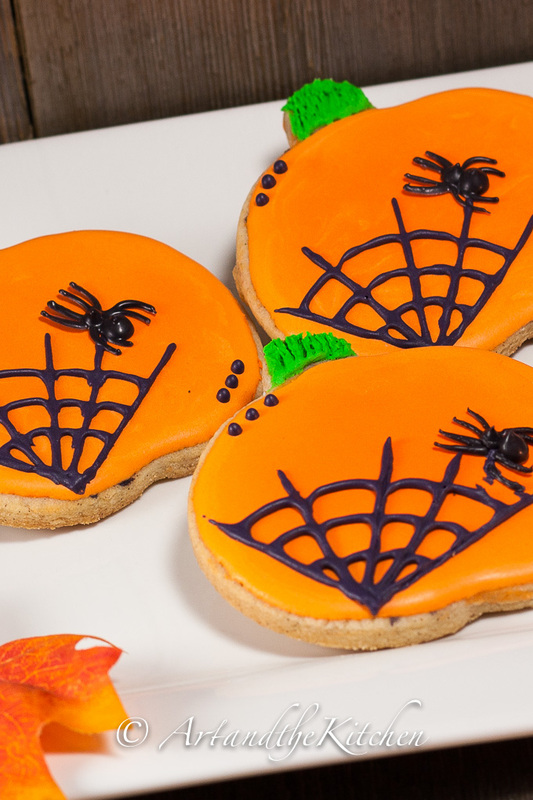 Looking for some Halloween treats? Try these. 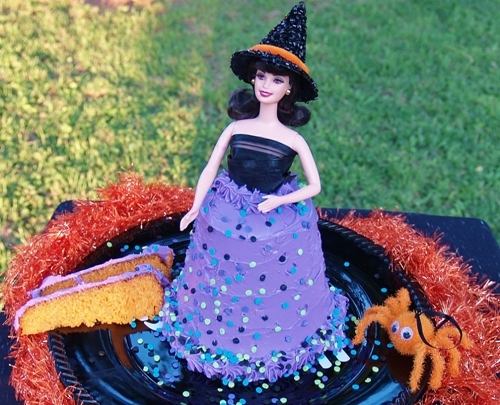 This cute Funfetti Barbie Cake doesn’t require a special pan. Or how about these amazing soft orange and white cookies from Jenni Fields Pastry Chef Online. Thanks So much for stopping by. I hope your cupcakes turn out as good as ours did. Those cupcakes look deelicious! thanks for including my cookies in your post Gail. You’re so welcome. I love your cookies!